Dubbed “Mr. Montreal” by CBC Arts, born-and-bred Montrealer Richard “Bugs”Burnett is an arts and culture journalist and columnist for various media, including the daily Montreal Gazette, Fugues magazine and Tourisme Montréal. His groundbreaking column Three Dollar Bill was the first and only syndicated LGBTQ column in Canadian publishing history. Bugs has interviewed everybody from Cher to Prime Minister Justin Trudeau – and knows Montreal like a drag queen knows a cosmetics counter. Natalie McNeil is a manager with over 20 years of experience in education, the arts, culture, and cultural and creative industries. 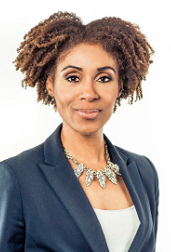 She founded her company in 2014 and meets the needs of a diverse client base including the International Festival of Films on Art and the Alliance des producteurs francophones du Canada (APFC). 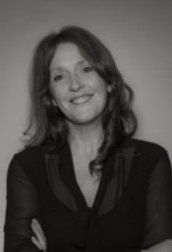 She has taught in various American universities in Paris and has been an instructor at INIS since 2011. She holds a Master of Cultural Project Management and Master of Film and Audiovisual Studies from the Sorbonne Nouvelle University – Paris III, and a Bachelor’s in Film Studies from Concordia University. (for NGOs), using collaboration to build strength around positive, practical peace work, all in an effort to foster greater social harmony. Brian has served on numerous boards and committees. The list presently includes: the YMCA Peace Medals (co-President), the International Community Action Network (Advisory Board), the McGill School of Religious Studies (Advisory Board), and the Centre de services de justice réparatrice (Ambassador group). In 2009, he coordinated the Dalai Lama’s visit to Montreal. Professionally, he has taught conflict resolution, worked as a mediator, and founded the Social Mediation Division of Institut Pacifique. He now devotes 100% of his time to philanthropic endeavors. In 2010, he received the Canadian Institute for Conflict Resolution’s Award of Merit, and in 2012 he received the Queen’s Diamond Jubilee Medal for his work in philanthropy. A well-known Montreal community folk music animateur and social entrepreneur, Ely has for years sought to bring cultures together and make the world a better place. 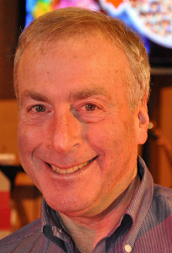 In the last few years, since his retirement from CTV MONTREAL, he has organized musical tributes for The Declaration of Human Rights by the World’s Religions and the Syrian Refugee Sponsorship at Dorshei Emet, and launched two TV series on MAtv (Vidéotron). 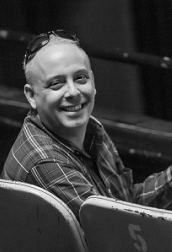 Most recently, he performed in and was musical director of Once There Was Melody at the Segal Centre. 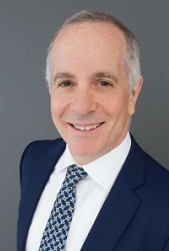 Ely is president of Canada Charity Partners (Partenaires Philanthropiques du Canada), which collaborates with Canadian and Israeli nonprofits to alleviate poverty and enhance community health. He believes high schoolers should engage with seniors by telling elders’ stories through digital media to relieve social isolation and encourage mentorship. This intercultural and intergenerational initiative is to be the first step toward creating a mentored and collaborative virtual TV studio for youth and community: Ely’s project to bring broadcasters and the educational sector together for mutual benefit. Kym Dominique-Ferguson is a poet by birth, a theatre performer and filmmaker by training, and a producer by nurture. For over a decade he has serenaded Montreal and international audiences with his blending of spoken word poetry and theatre. He successfully produced and performed his first one man show to a sold-out audience back in August of 2015: The Born Jamhaitianadian. 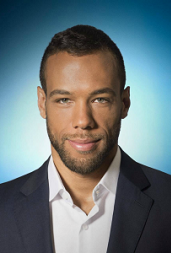 Ferguson is also a radio show host on Soul Perspectives for the past 6 years which talks about the issues affecting the Black community here in Montreal, across Canada and internationally. 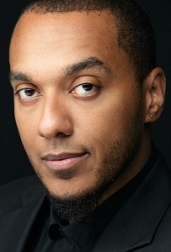 He is currently in the development phase of his first theatre play: The #DearBlackMan Project, officially commissioned by Black Theatre Workshop. unique et son seau de féminité qui est la base même de son concept. Armée de son micro rose, sa marque de commerce, elle sillonne la ville afin d’être présente sur les différents tapis rouges, sur les plateaux de tournage ou encore pendant les évènements culturels et artistiques de l’heure. Depuis maintenant dix ans, le Tapis rose a eu rendez-vous avec 600 artistes et a produit plus de 650 reportages. Ce qui représente plus de 4 200 000 vues sur YouTube. Beaucoup d’autres activités animent cette insatiable de culture. D’ailleurs, son mandat de chroniqueuse culturelle au 98,5 FM est manifestement lié à son talent à débusquer la nouvelle et à la communiquer. Depuis maintenant 6 ans, Catherine crée et réalise du contenu numérique en vidéo légère pour différentes émissions de télévision, comme Un air de famille et Ruptures, diffusées à ICI Radio-Canada Télé, Trait d’humour à Unis TV ainsi que Blue Moon à TVA. 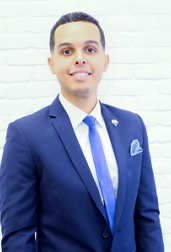 Thierry Lindor is the president and founder of REMAX Griffintown, which has set itself apart through its energy, dynamism, and digital approach right from year one, during which, under his leadership, the real estate agency grew from 3 to 24 brokers. He also founded the very first Canadian TED Talk format with his business conference company Influence ORBIS. Influence positions itself as an entrepreneurial movement that brings together distinguished speakers, initially in different cities across Canada and eventually on an international scale. Influence Montreal 2017 was the first conference organized by the group and featured various presenters such as Gary Vaynerchuk, Danièle Henkel, Nicolas Duvernois, Kim Rusk, Étienne Boulay, and many others. The company’s vision is to export and promote entrepreneurial experience from Quebec and Canada in the same way that a Quebec visionary was able to export his native art and culture while redefining the circus experience on the international scene. As if that wasn’t enough, he founded the Prosperity Acquisition Fund with the goal of fighting gentrification in racialized neighbourhoods. The fund assists its members with down payments, enabling them to purchase residential and commercial property in neighbourhoods undergoing gentrification.